Grease a 6cm-deep, 20cm round (base) springform pan. Line base and side with 2 layers of baking paper. 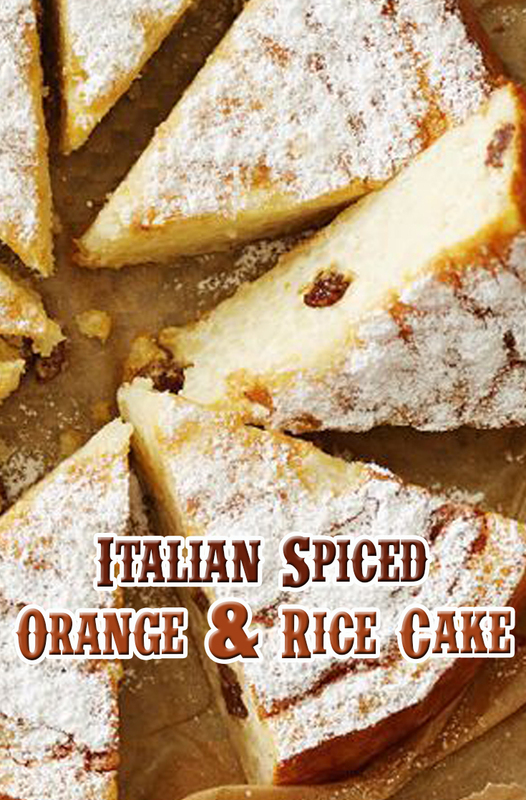 Combine milk, vanilla bean, cinnamon, orange rind, sugar and rice in a medium saucepan. Stirring constantly, bring mixture to a simmer over medium heat. Reduce heat to low. Cook, uncovered, for 30 minutes, stirring every 5 minutes. Remove and discard vanilla and cinnamon. Remove rind. Finely chop. Add to rice mixture. Stir to combine. Set aside for 30 minutes to cool. Meanwhile, place rum and sultanas in a small saucepan over medium heat. Bring to the boil. Remove from heat. Set aside. Preheat oven to 170C/150C fan-forced. Using an electric mixer, beat egg whites until soft peaks form. Stir egg yolks and sultana mixture into cooled rice mixture. Fold in egg whites. Pour rice mixture into prepared pan. Bake for 50 to 55 minutes or until a skewer inserted into the centre of cake comes out clean. Cool in pan. Serve warm or cold, dusted with icing sugar.